-Cleopatra suistitutes for all other symbols except scattered Pyramids. 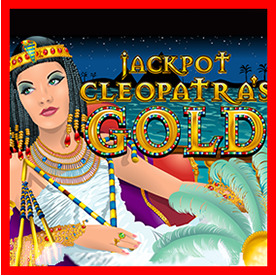 -The prize is doubled when one or more Cleopatras appear in a winning combination. -15 free games are awarded when 3 or more Pyramids appear anywhere. -During the feature all prizes are tripled. -15 additional free games are won if 3 or more scattered Pyramids occur in a free game. -Scatter Pyramid any scatter wins are multiplied by total bet.